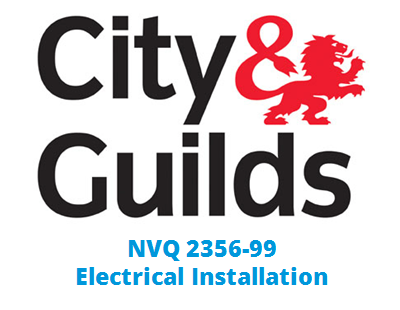 The Electrical Installation NVQ 2356 Level 3 consists of eight units, 301 to 308 and each unit needs to be complete over three separate occasions. This can be any number of jobs / tasks and does not necessarily mean three separate jobs or three separate locations. For example, if you were first fixing steel conduit and pvc singles for lighting, this would cover four of these units (301, 304, 305 & 306) on one occasion. In this scenario you would not have carried connecting nor would you have carried out any testing and/or fault finding therefore would not complete the other units for this occasion as you would not have evidence of doing so. Basically, the evidence that you gather determines which units of the NVQ you complete and you complete the NVQ in any order you like. • monitor that the site remains continually safe during working and is left in a safe and secure condition on completion. • pass on the necessary safety considerations in the correct manner. This unit is for you: … whilst at work.The Health and Safety at Work Act, 1974, seeks to secure the health, safety and welfare of people whilst they work and protect other people against risks of health or safety arising from the activity of people at work. • take sensible action to put things right. This unit is for: A person required to ensure that the necessary wiring systems, wiring enclosures and equipment are appropriate for the installation, prior to the electrical installation work taking place. This unit is about: Ensuring that the wiring systems, wiring enclosures and equipment are suitable for the installation. This is what you need to show: You need to show that you understand the application and the meaning of ‘fitness for purpose’ of wiring systems, wiring enclosures and equipment. You will need to also demonstrate that you understand the importance of making sure that the intended installation matches the expectations of the relevant person. Also, you will need to prove that you have confirmed that the wiring systems, wiring enclosures and equipment you are going to install are suitable for the working environment where the installation will take place. This unit is about: Following the correct procedures for the installation of wiring systems, wiring enclosures and equipment as specified. • those areas which have the potential to be hazardous. This unit is for: A person required to connect wiring systems, wiring enclosures and equipment. • how to check the connection afterwards using safe methods. • the importance of keeping good records of the procedures and results. Start Your NVQ 2356 Level 3 in Electrical Installation NOW!